Do you think Nexus of Fate was a mistake as a buy-a-box promo? Is EDH driving up the price of cards? 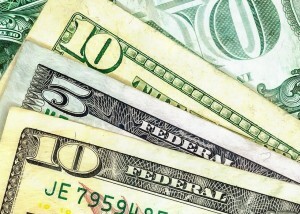 Jason Alt comes visiting to tell us all about financing Magic! The “guitar riff” version of the song was performed by Mike Condon (Twitter: @grayline9). This episode was edited by David Mitchell! 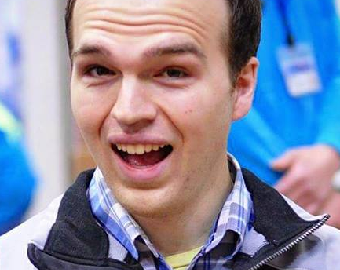 Commanderin’ MTG Podcast is unofficial Fan Content permitted under the Fan Content Policy. Not approved/endorsed by Wizards. Portions of the materials used are property of Wizards of the Coast. ©Wizards of the Coast LLC. 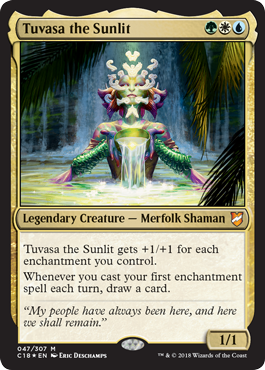 © Copyright 2018 Tiny Shiny Squid, Inc.
Gavin Verhey, Lead Designer of Commander 2018 #MTGC18, seizes control of Commanderin’ in order to tell us development stories about this year’s Commander set. What an amazing show! 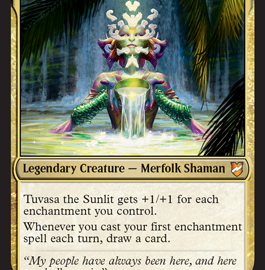 Wizards gave us the most amazing Commander 2018 preview card – introducing Tuvasa the Sunlit, the Bant merfolk enchantress of our dreams!